Open to actors of all acting experience, ages (10+), and abilities. Majority of roles are for late teens and adults; limited roles for children/youth. Artists’ Exchange is a nurturing, safe, and collaborative environment for young and veteran actors to grow. Prepare a one-minute maximum monologue; singers can also sing a cappella if desired. Bring a headshot and resume. You may be asked to do cold readings from provided scripts. Slots are 10 minutes per person. Email Jessica Chace at jessica.chace@artists-exchange.org with your first and second slot preferences. You will receive confirmation of your scheduled date and time. 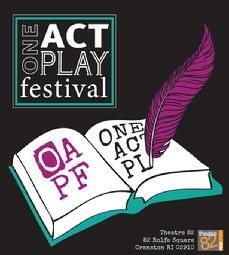 Original short plays are selected for performance from hundreds of submissions from local, regional, national, and international playwrights. Comedies, dramas, farce, live music, and more combine for four weeks of summer theater at its best and most fun. Festival is rated PG-13. Directors are Lauren Annicelli, Jessica Chace, Tom Chace, and David Kane. The Festival is performed in two separate “Waves.” Wave 1 performance run is July 21-29 and Wave 2 performance run is August 4-12. Shows are Fridays at 7pm and Saturdays at 3pm and 7pm. Rehearsal period is June thru July/August and based on individual directors and casts. Tech week for each Wave is mandatory, the Monday-Thursday prior to opening night. Proudly owned and operated by Gateways to Change, Inc., Artists’ Exchange is a non-profit arts collaborative whose mission is to create an atmosphere in which creativity, learning and discovery converge and individuality is celebrated. It is home to multiple art studios, a gallery, art boutique and café, and a secondary venue, Theatre 82 & Café, a multi-use performance, meeting and instructional space (and home of the One Act Play Festival). Featuring Character’s Café with a full breakfast and lunch menu, fresh coffee, craft beer & wine, and live Jazz Music on Sundays! Join us for exciting classes and events year-round.